...or a solution to add or modify painlessly your contacts data, used conjointly with sister app XlContactImport. That’s my own favorite use now. 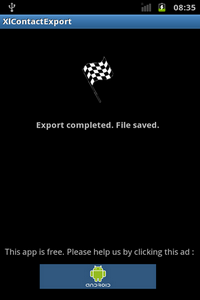 Try it without risk on your phone : export data, and look the resulting file with the file format appendix. The excel file produced can be stored directly on the phone, uploaded on a FTP site, send as an email file attachment to an email address, or send to a Dropbox account (this last option is available with the pro version of the app). Others storage location are currently on study. The excel file is produced using the classic Excel format (.xls / Excel 97 – 2003)(1) which can be edited using old and current Microsoft Office suite on computers, and alternatives like OpenOffice, or Thinkfree, Document to go, AlwaysOnPC and several others on the Android platform. The current Excel format (.xlsx) is supported in the pro version of this app (see below). (1)	On Android 1.6 only, export format is on Excel XML 2003 format, due to technical limitations of the platform. Users of the app before version 1.1.0 : please read what has changed beginning with version 1.1.0 here. 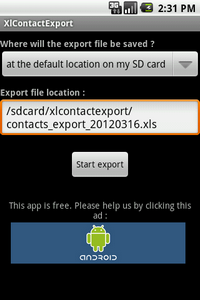 XlContactExport has been tested on Android 1.6, 2.x, 3.x, 4.x, 5.x, 6.x, 7.x devices. Tests on Android 8.x are currently in progress, but as the early results show, the app should work fine too. The current version of XlContactExport is designed to work on 2.3.x (and above) devices, but a older compatible version with Android 1.6, 2.0.x, 2.1.x and 2.2.x, with all the main functions, is still available when you download the app from Google Play. 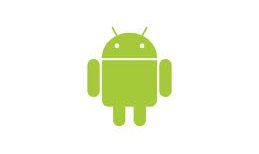 Download the app on Google Play, the new incarnation of the Android Market. I suggest you to read the tutorial.